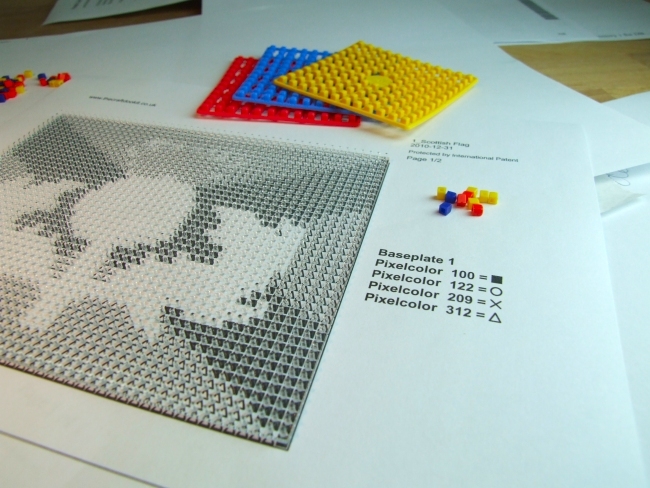 Pixel mosaic designs are created using 'Pixels', a small soft plastic tile with a matt finish. 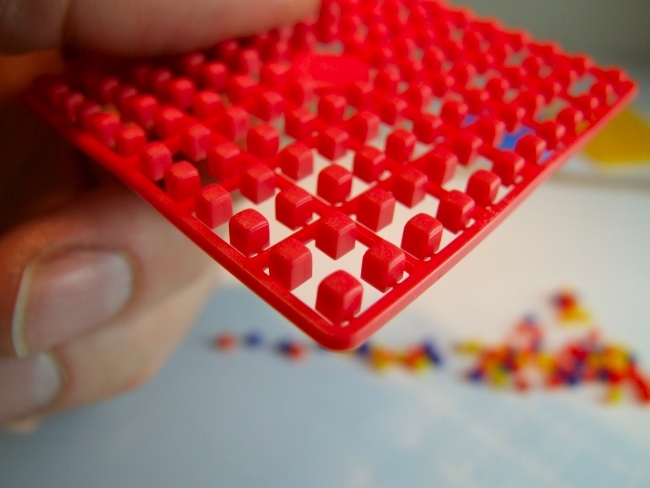 'Pixels' are available in 312 different colours and require the use of tweezers. A pixel square as shown above holds holds 140 'pixels' and has a unique colour number located in the centre. 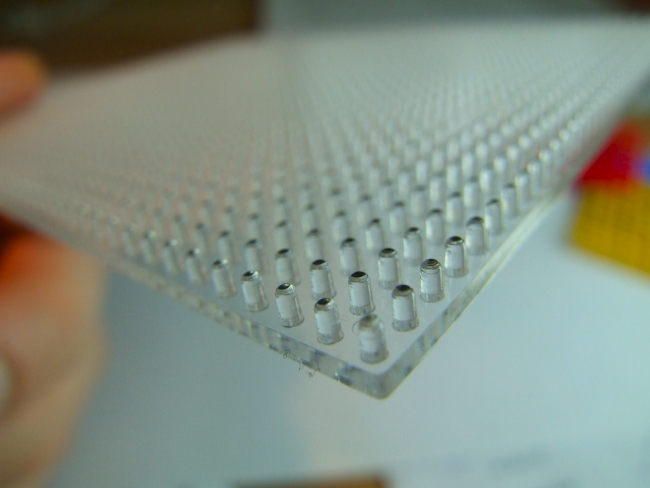 Designs are completed by positioning the 'pixel' on to a 'baseplate' (shown above), a 13 x 10cm (5" x 4") transparent plastic plate with small pegs which holds 2000 'pixels'. No adhesive is required the 'pixels' fit securely over the pegs. The 'baseplate' is positioned over the design rectangle on the design sheet like the one above. Design sheets include either 2 or 4 design rectangles per page. A symbol key as shown above shows which colour should be placed over each symbol. Once all the symbols on a design rectangle are covered the baseplate should be moved to the next design rectangle until the baseplate is fully covered. The time needed to fill a baseplate will depend upon the number of colours used, the pace you set for yourself, and your skill level. Typical times range from 2 hours to 7 hours. Pixel Mosaics can be made up of any number of baseplates. Once completed they can be taped together and mounted onto a backing board and framed. What Is Pixel There are no products in this category.